For the final night of the Festival of Lightation I’ve selected the La Palina Family Series Miami. 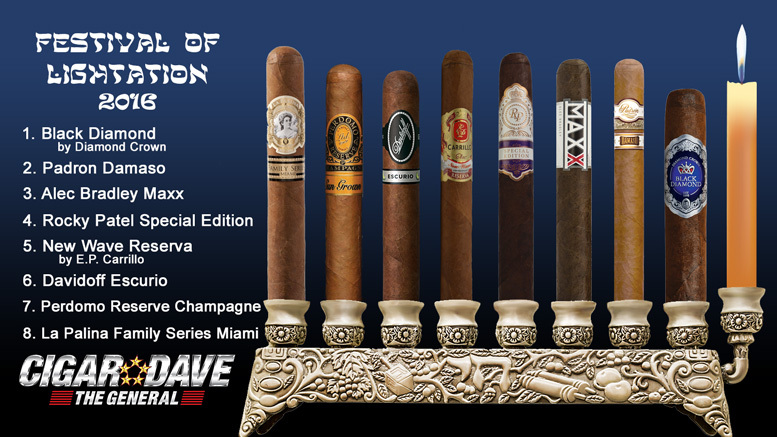 These beautiful cigars are constructed at El Titan de Bronze in Miami. This medium bodied cigar has notes of roasted nuts, cedar, coffee, exotic spice, and subtle hints of creamy caramel, the perfect way to wrap up the 8 nights of the Festival of Lightation.